Blue Caprice’ is a different kind of riveting horror movie of sorts. No, it does not feature the CGI visibility of hideous creatures out for random blood-thirsty vengeance. It does, however, showcase the invisible monster within the damaged human psyche that craves spontaneous carnage without any definitive rhyme or reason. In most over-the-top horror films one sees it coming for the most part. As for first-time filmmaker Alexandre Moors’s quiet and intensely harrowing ‘Blue Caprice’, the underlying tension and turmoil in his probing and chilly character study of a disillusioned duo conducting methodical killing rampages is probably one of this year’s most fascinating and transfixing displays of dysfunctional human dramas that can be aptly compared to a big-budgeted gory nightmarish narrative any day of the week. Disturbing, captivating, eerily lyrical and thought-provoking, ‘Blue Caprice’ works effectively on the exposed consciousness because it is a cold-hearted crime caper that is a skillful meditation of outrage, insanity and emptiness in soulful feeling. Writer-director Moors and screenwriter R.F.I. Porto’s salacious script delves into the escalating madness of a couple of wayward men suffering from their instilled brand of disillusionment and depravity. ‘Blue Caprice’ does justice to the true-crime genre as it is armed with potent performances, an emotional and psychological punch to the vulnerable heart and the lingering sentiment about what motivates the impulsive urges of unpredictable evil in broken individuals. Moors’s impressive feature film debut is the cautionary ode to the horrific newsworthy mayhem that occurred in the Maryland, Virginia and Washington DC regions where ten innocent people were shockingly gunned down and killed, along with a few critically injured victims, during a three-week killing spree back in October 2002. The misguided men that was responsible for the chaotic Beltway murders was John Allen Muhummad (Isaiah Washington) and his teenaged accomplice Lee Boyd Malvo (Tequan Richmond). Essentially, this deadly pair was responsible for paralyzing the surrounding panicky D.C. area with their inhumane bullet-ridden devastation. Basically, ‘Blue Caprice’ is a caustic examination of a symbolic father-son dynamic gone haywire. The embedded rage and resentment percolates within this unlikely male mentor Muhummad and the aimless protégé that he would groom into an emotionless killer while demonstrating the target practice tendencies that would claim lives and create mourning and misery for a mystified nation begging for an understanding of such mindless destruction. The origins of ominous detachment are triggered on the island of Antigua, where an abandoned young Malvo is left to fend for himself after his mother takes off without notice. Soon, Muhummad enters the picture and offers the needy boy guidance, attention and a sense of stability. Malvo eagerly fits in with Muhummad and his children (we learn that Muhummad had kidnapped his kids in the process). The abducted children are soon returned to Muhummad’s ex-wife therefore leaving a nasty aftertaste in his mouth for his ex, the legal system and anything else that Muhummad can blame for his developing plight. The menacing Muhummad eventually leaves the island with Malvo as they travel to Tacoma, Washington and live off of an old galpal of John’s (Cassandra Freeman). The delusional mind of John Allen Muhummad starts to unravel and it is a matter of time before he ‘brainwashes’ Lee into grandeur visions of creating his army of corrosive kids to carry out his twisted agenda for those that stand in his way. The embittered Muhummad works on the indelible mind of Malvo while testing his ‘loyalty’ and ‘gratitude’ towards him. The suggested thought of Muhummad ordering his obedient pupil to eradicate a woman connected to his child custody hearing case sends automatic bumps up one’s arm. Even more unbelievable is the willingness for the stoic Malvo to comply with the outrageous request. The encouragement for Malvo’s potential for criminal commitment is further put forth by Muhummad’s old Army buddy Ray (Tim Blake Nelson) whose compliment regarding Malvo’s shooting skills in the woods incites Muhummad even more to mold his 17 year-old charge into an effective killer to eliminate his immediate tormentors. So the stakes are indeed high as Muhummad has secured the dangerous devotion of his trigger-happy trainee Malvo as they both cruise the streets in a punctured Chevy Caprice conveniently devised to act as an undetectable mobile sniper station for its unsuspecting walking human targets. Alas, the landscape of the world has become the poisoned playground for the twisted tandem and not just the intimate circle of Muhummad’s selected scapegoats. As the tortured triggermen, both Washington and Richmond are compellingly icy and robotic as the alienated twosome fueled with blank detachment and despair. They convey a distant antagonism and challenge the audience to survey the hefty hedonism of their murderous misfits on the prowl. Moors is astute enough to try and not examine or excuse the staged mayhem of these whackjobs but simply allows them to mechanically decline into a tranquil meltdown that an unprepared society paid a heavy price for so dearly. The slow-burn outcry and low-key fury that exists in ‘Blue Caprice’ is an unsettling bumpy ride one must be willing to take with measured poignancy, persistence and pain. Does your website have a contact page? I’m having problems locating it but, I’d like to shoot you an e-mail. I’ve got some creative ideas for your blog you might be interested in hearing. Either way, great site and I look forward to seeing it develop over time. I do appreciate your enthusiasm for the written material being provided by me and the overall site. 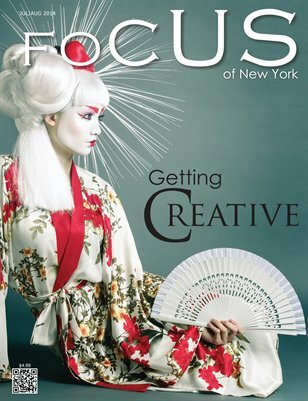 I can be contacted at: franko@focusofnewyork.com and your feedback will be acknowledged accordingly. Your creative ideas, input and observations are always welcomed. Thanks for your time and attention.